Happy Monday, everyone! Back to reality (why do weekends go by so fast?!). I’m so happy because I’m finally starting to feel a little bit better. How was your weekend? Also, my leggings are currently on sale and are only $27. They are the best leggings, ever! Definitely about to pick up a backup pair. PS. I just got my blog office back (yay!) so I’m getting ready to start YouTube videos since I can have a setup in here… so excited! That turtleneck is the cutest — I think I need it in my life ASAP. I love that turtlenecks are so “in” because they really do a great job of keeping you warm! I’m a southern girl going to school a little farther north than I’m used to and I’m all for finding warm clothes that are cute as well! Love your turtle neck and it’s finally cooling down in Florida meaning I might actually be able to break out sweaters soon! Also super excited to see your office completed, I’ve been following along on snapchat and I’m already obsessed with the layout. If you don’t mind me asking, where is your garment rack from? I’m moving in two months and would love to get one for my new home! I cannot stand being cold so I adore turtlenecks. 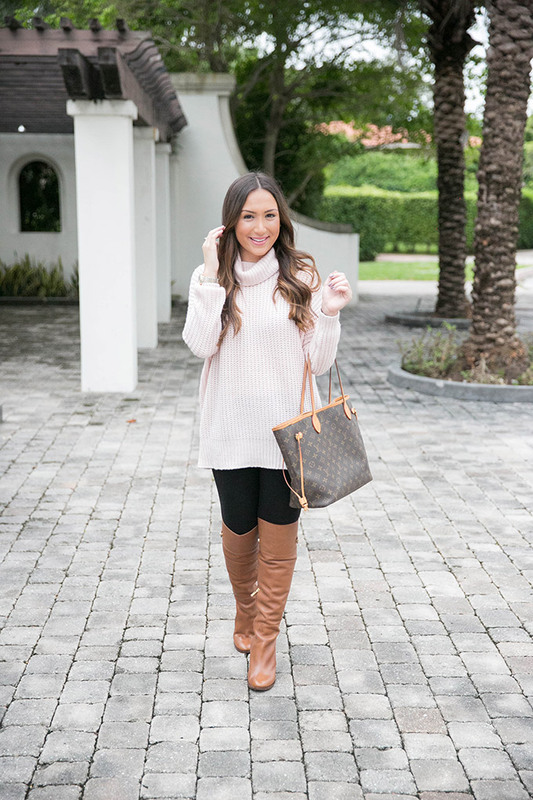 This turtleneck looks so soft and feminine and cozy. I think I need it! Such a gorgeous subtle pink shade! Love this look, So cozy. So simple, but pretty! I love that sweater!! SOOO beautiful! I’m totally into blush and turtlenecks…I think I need this! I love sweaters like that, they’re always so comfy! Loving this cozy winter sweater! I’m in need of some new ones this season, especially with the weather we have coming up in the North East! Such a perfect, cozy sweater! Love the color. LOVE this sweater! That color is perfect on you! And how are those leggings?!? Do I need to invest? I love your bag and your entire outfit! It’s cozy but chic! 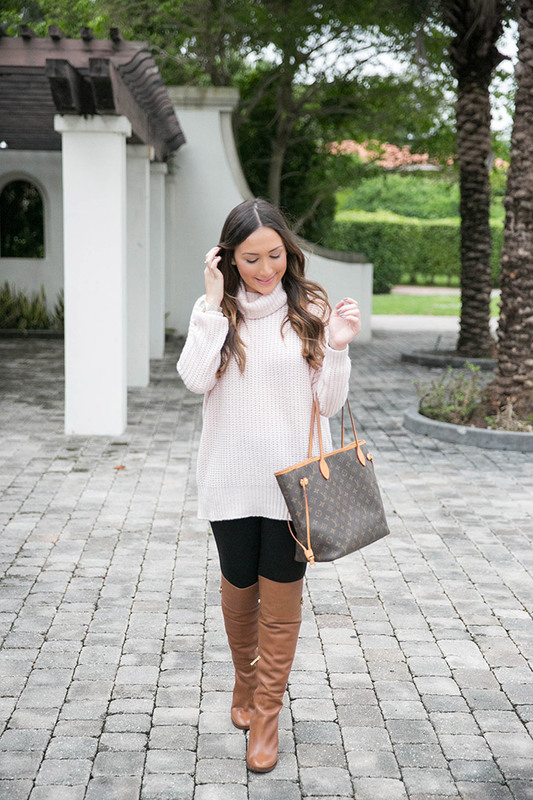 love how cozy this turtleneck looks and love how simple it is! What a cute and cosy yet chic outfit! Love it!